Relax! Be yourself. Bring your personality. Grab your favorite outfits and your favorite people. Let's explore the city, a great park or your favorite spot to shine. As a parent, I know being rushed into a small appointment window makes for a stressed photo session. Having a clear understanding of what you are buying and any hidden costs is important. My simplified offerings provide flexible, straight-forward portrait sessions that you can customize to fit how much time and how many pictures to match the experience you want. There are no requirements for print packages and no minimums. You pick as much or as little time and pictures that meet your needs. I strive to make your portrait experience relaxed, enjoyable and customized to you. It can be all you or fun with friends. Pick your session based on amount of time, number of locations or whether you want to split it over 2 days. We'll have a pre-shoot consultation to discuss your vision and location ideas. Session cost includes consultation, average travel time, shoot setup, shoot time and gallery creation. Have questions? You can always call, e-mail or text to find out more. There's lots of great places to explore and take pictures in and around Columbus. Pick a place that is meaningful to you or we can talk through some suggestions. I always recommend clothes that will help you feel comfortable and confident. Feel free to bring instruments, sporting equipment or cute pets. Please no snakes or spiders. After your photo shoot, I will create a proofing gallery for you to choose your favorite images. All sessions include 5 free images to start you off and ensure you get your yearbook picture turned in. You can then customize your final list of favorites with as few or as many more as you like for just $10 each. All of your favorites will receive necessary retouching, creative filters, sizing for web & print and will be available for download from your online gallery for 1 year. Step 4: Download what you want, print what you want, no pressure. There's just something about a printed picture that brings an image to life! Unfortunately, many people don't print their images because of high cost or hassle of uploading. I make it easy and affordable. You will get a gallery where friends and family can print what they want, when they want with high-quality archival paper and ink. No minimum orders, no packages with more prints than you need and no sales meeting with a discount that will expire if you don't order today. I can also custom quote if you're looking for a special size or material (like bamboo or metal!). Ask about my "Yearbook Now, Session Later" option! Schedules are busy and timing a photo session can be challenging with activities, homework and other commitments. I understand, so I offer a way to get your Yearbook picture out of the way now and do the rest of your session later. As a photographer, my job isn't to simply take your picture. I'm here to draw out expressions from you and your family and to capture moments that might otherwise only exist in memory. Photographing anyone, especially families, is an honor and I hope to create a family heirloom that will provides years of enjoyment. 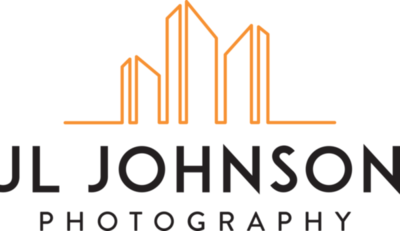 "I would highly recommend Jeff Johnson. He is extremely professional and takes his time to make sure to capture your family exactly as you would like. The quality pictures we received were the best we have ever gotten. Plus he is able to come to you so he can really capture you in a natural environment. Love our pictures and will definitely use Jeff again!" Laura E.
Each session will yield dozens of images that I post in your private proofing gallery so you can choose your favorites. All sessions include 3 free images to start you off. Choose any additional favorites at just $10 each and I will re-touch by hand including adjustments for lighting, shadows, colors and facial features (including laugh lines) that might need a few tweaks to look their best.